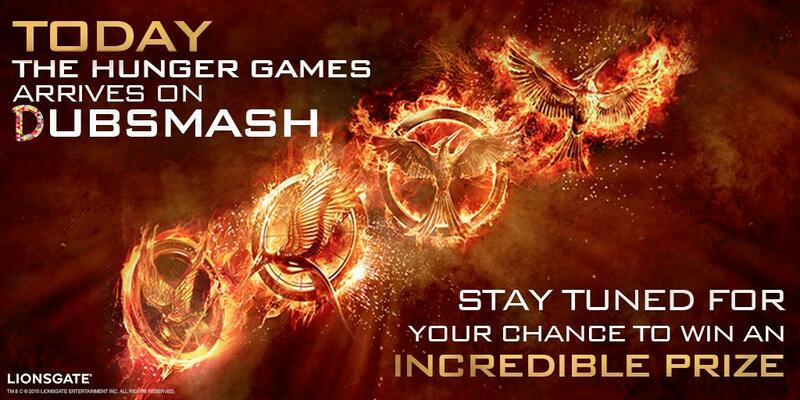 Today, Lionsgate have announced their new partnership with social media platform Dubsmash, and are set to launch a range of official soundboards on the app for The Hunger Games franchise. For those of you who are not familiar, Dubsmash is a mobile app available on iOS and Android, allowing the user to create short selfie videos dubbed with famous or interesting sounds. We are really excited about this activation with Dubsmash as it puts us in the most current social space and truly engages with our fans celebrating The Hunger Games Series. We have the most vocal fans of any film franchise, who have been on this journey with us from the start. Our overarching strategy for the release of The Hunger Games: Mockingjay Part 2 was absolute celebration of the franchise and there is really no better way to bring all elements of the film together and for our fans to be part of The Hunger Games. Currently there are 22 sounds on the franchise soundboard, with a few more set to be added in the run-up to the release of Mockingjay - Part 2 in November. Be sure to share your dubs by commenting them to the official Facebook page or tweeting to @HungerGamesUK for a chance to win prizes. Click here to check out the full terms and conditions. Feel free to send us your videos as well - we'd love to see them!